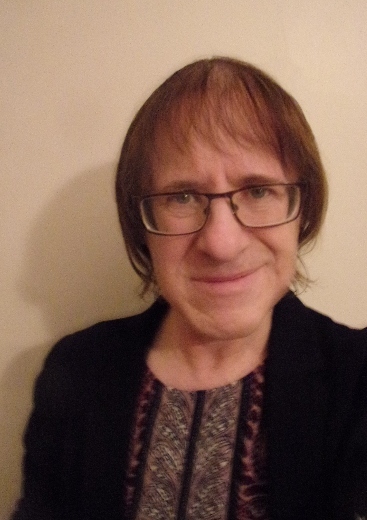 OK, let’s get this out of the way : I’m transitioning. So it seems only right for me to put together a playlist of songs with an explicitly transgender theme. As ever, the songs on the list have to be ones that I genuinely want to listen to, so my apologies for not including anything by Laura Jane Grace and Against Me! (which would have been the most obvious pick), as her music doesn’t do much for me. The first two songs are ones that made a strong impression on me when I was still in my teens. The hashtag #WeWontBeErased became a rallying point in late 2018 for trans activists seeking to challenge proposals from the Trump administration to redefine gender solely on the genitalia people are born with. 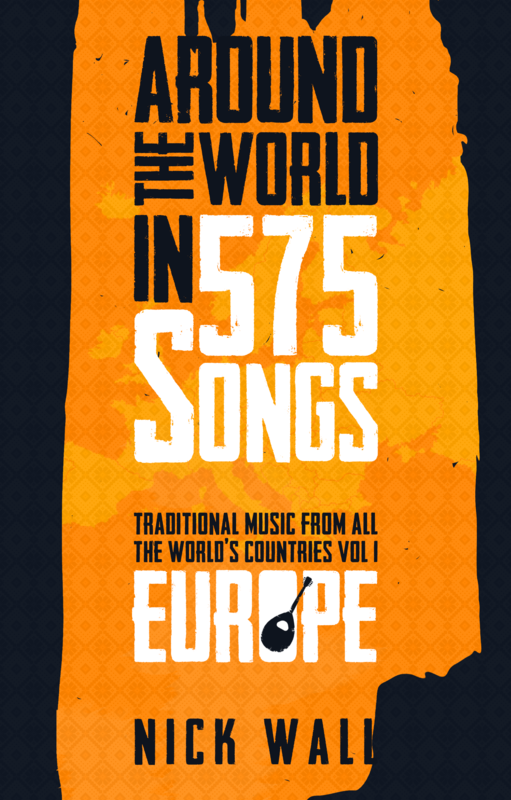 Streamed on the site are 575 songs from 200 countries. The criteria for choosing the songs is discussed here. I was looking for music rooted in a country’s past heritage and culture, music that employed traditional instruments. So I generally avoided tracks where electronic instruments were used and imported genres such as beat-heavy pop, R&B, hip hop and reggae: the globalised culture in which past traditions become meaningless. The reason why this project has taken 5 years work is that I also wanted to write a book to discuss the music in more depth. 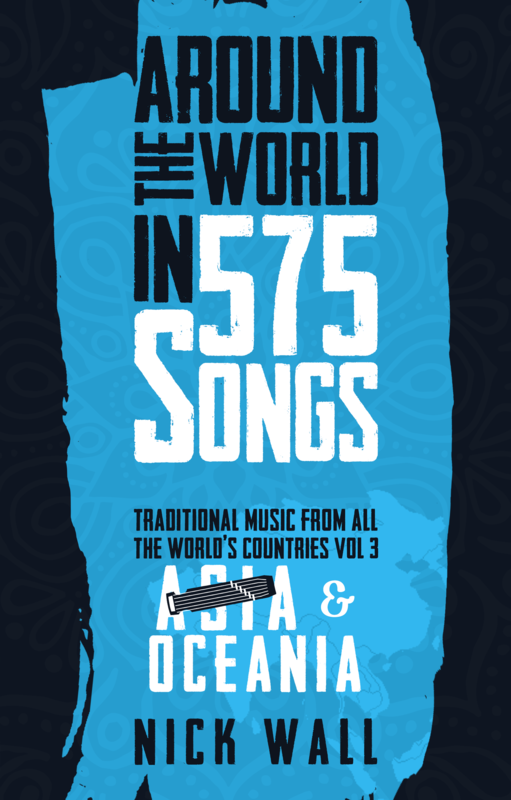 Around the World in 575 Songs : Traditional music from all the world’s countries has now been published in paperback, ePub and MOBI. It’s a set of 4 volumes (Vol 1 Europe, Vol 2 Africa, Vol 3 Asia & Oceania, Vol 4 Americas). It’s available to order from major retailers in Europe, North America, Japan, Australia and elsewhere (some buy links here). The books are aimed at a broad readership – anyone with a passion for exploring other cultures. They’re densely packed with stories and information. If you like to try before you buy, there is a lengthy extract currently available to read on Google Books. If you have Kindle, Volume 1 is currently available for free in return for leaving a review on Amazon.com. All that you have to do is to register for free membership of the Reading Deals book club, then visit my book link. I’m hoping to resume normal service on the musictodiefor website in the New Year. I’m made up to get an endorsement from such a highly respected artist. What’s more, she hits the nail right on the head. The celebration of diversity and the joy of exploration are right at the heart of this project. And if you’re someone who likes to see the world, read about the world, and experience other cultures then these books are written for you. You have eleven days left to visit my crowdfunding page and take advantage of the sale prices (1 paperback volume for £8 and set of 4 for £24; 1 ebook for £5 and set of 4 for £18, etc). I’m sure you’re going to love them. And to prove it to you, here’s one final offer, just for musictodiefor readers. Email me at nctwall@hotmail.com by Saturday 9th June with the names of any three countries, and I’ll email you back with draft copies of the three corresponding chapters from my books. No charge, and no obligation to buy. 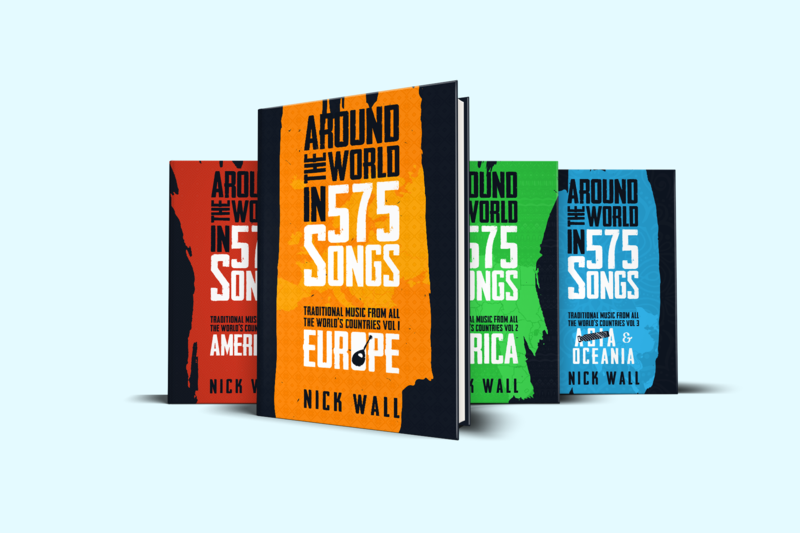 If you need any ideas, just head over to the 575 Songs website where you can navigate to any of the 200 country pages, all of which are populated with my featured songs. I have more information and several links to give you. 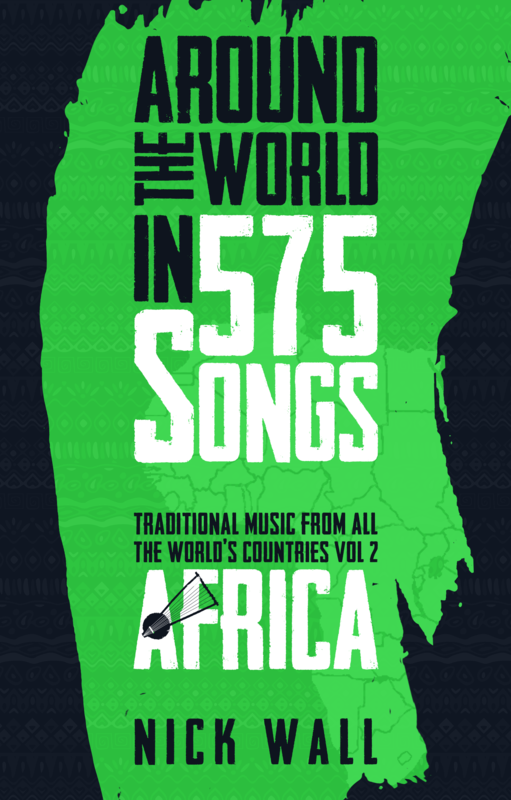 My book’s called Around the World in 575 Songs : Traditional Music from all the World’s Countries, it’s coming out in four volumes, and will be in bookstores by August. A unique feature of the book is that literally every country is covered, from Kazakhstan to Kiribati – and the small countries often prove to be just as fascinating as the more usual suspects. Launching at the same time as the book will be a website where people can listen to all the featured songs. It’s online already, so please drop in and start exploring the music there – https://aroundtheworldin575songs.com/. The price drop is because I want to make the books accessible to as many people as possible, and because I want to encourage folk to buy the books now, during the crowdfunding campaign, to help me to meet the costs of getting all four volumes self-published. So for now this is the main link, it’s my Indiegogo crowdfunding page, where you can watch my video, learn more about the project, and then place your orders ! The books can be pre-ordered by choosing from the ‘perks’. Volume 1 is Europe, Vol 2 Africa, Vol 3 Asia & Oceania and Vol 4 Americas, and they’re available as e-books as well as paperbacks. If you wish to ‘try before you buy’, I’ve posted a few brief extracts and a sample chapter (Mali) online. I’m now on Twitter, where I’m treating my followers to a tweet of one song from a different country every day : https://twitter.com/NickWall2018. The campaign runs until 16th June. The Indiegogo crowdfunding campaign for my book has officially launched, yay ! This is a unique and exciting publishing project. 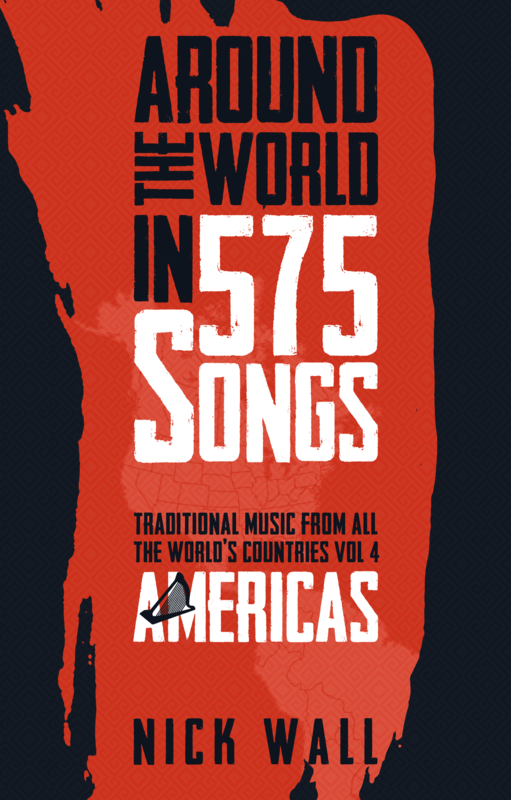 It’s a big project : I’m publishing four volumes simultaneously, while also launching a 575 song website. But I’m hopeful that many people who have an interest in learning about the world’s cultures will love the books and love the music. 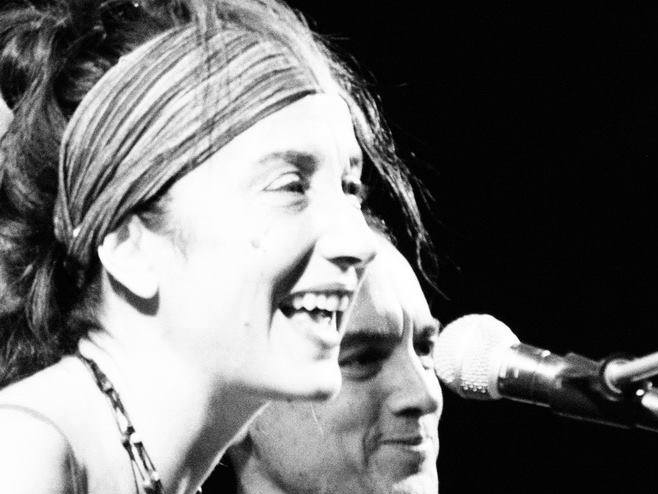 Please check out my campaign page, and help me to share as widely as possible the stories of those musicians whose efforts to breathe new life into their own musical roots challenge conventional narratives about our globalised culture, and give us new insight into who we are. I’m not expecting you to give up your hard-earned money for nothing, so here’s the deal : you’re invited to buy some or all of these volumes at a small discount, with one or two little perks thrown in as well. Not to mention a whole lot of amazing music coming your way ! Band of the month is suspended, but it will be back, probably around Autumn time. This is because I have a book coming out. Or rather four books, because we’re talking 4 volumes. This is the culmination of an amazing project during which I’ve learned so much, so I have a lot to share … but for now I’ll keep you waiting, because later this month I’ll be launching a crowdfunding campaign, and all the details will be available them.